Your message has been sent. WonDedra will respond to your questions as soon as possible. If you are not contacted within an hour, we may be having trouble reaching you. Please call us at (678) 978-8725. Mid Century Modern style w/ backyard oasis. Fireside family room. Lg. Media/ Rec Rm. Renovated baths . Stainless steel and quartz kitchen opens to a dining area w/ Glass doors to peaceful screen porch overlooks, Pvt backyard oasis w/ salt water pool & deck for entertaining and gas fire pit , New windows, roof and gutters. Master suite retreat w/ deluxe bath w/ whirlpool tub, sep two head shower. dbl. vanity sinks. Two car carport with storage room. 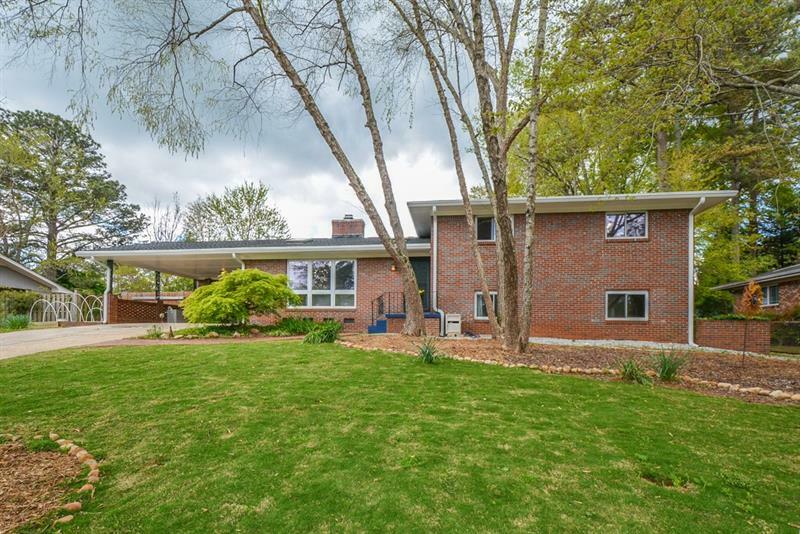 A representative from Metro Brokers has received your request to visit 1113 Chatsworth Drive on at . Your friend will receive an email shortly from WonDedra	with details on this property. For your convenience, your friend's email and name will be auto-populated next time you use this form. Complete this form to send a link to this listing to a friend. The email will come from WonDedra's	email address, and your personal message will be included.